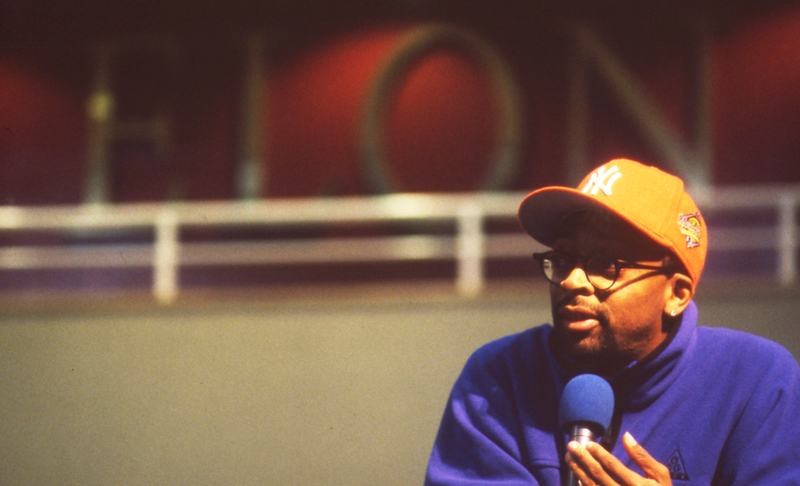 Acclaimed film director Spike Lee visited the campus in February of 1997 and spoke to students about the importance of staying in school. He also provided a one-on-one interview with the staff of The Pendulum during which he discussed aspects of his career and gave advice for young filmmakers. Eight months later, Lee returned to Elon to shoot scenes for the movie “He Got Game,” starring Denzel Washington and NBA player Ray Allen. The 1998 film is about a talented high school basketball player (Allen) who grapples with what to do with his life after graduation while coming to terms with events that dramatically changed his family during his childhood. After receiving recommendations from the North Carolina Film Commission for the ideal campus on which to shoot, Lee chose Elon’s picturesque campus as the “southern” basketball school, Tech University, to which Allen’s character is invited for a college visit. 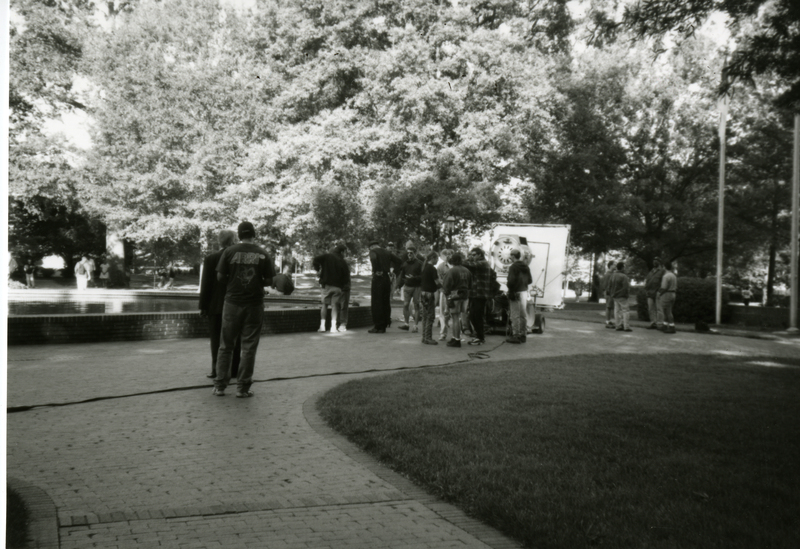 Scenes include shots of Fonville Fountain, Alamance Building and the colonnades, and the west patio of Moseley Center. These scenes appear in the film from time code 1:28:57 to 1:30:36 and again from 1:33:46 to 1:35:26.
students to fill spots for 250 extras. Some students were chosen to serve as production assistants and had the opportunity to shadow Lee’s film crew. Although filming was originally scheduled to take two days, due to scheduling conflicts with another local location, filming was condensed to one day. This entry was posted in Campus Spaces, Miscellaneous Events and tagged movie, Spike Lee. Bookmark the permalink.